Experimentation is emerging as the next major digital capability that will separate business winners from losers. When done at scale, an enterprise-wide experimentation program can increase performance up to five fold in metrics such as revenue, prospect conversion, or product deployment efficiency. 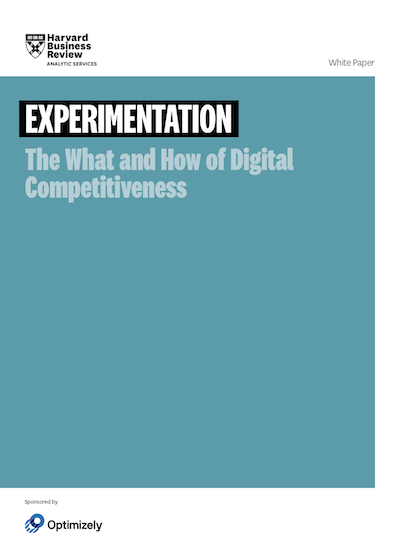 This original research report from Harvard Business Review Analytic Services, based on interviews with industry executives and other subject matter experts, delves into the rise of experimentation as the next major digital corporate capability and how companies are making it work.